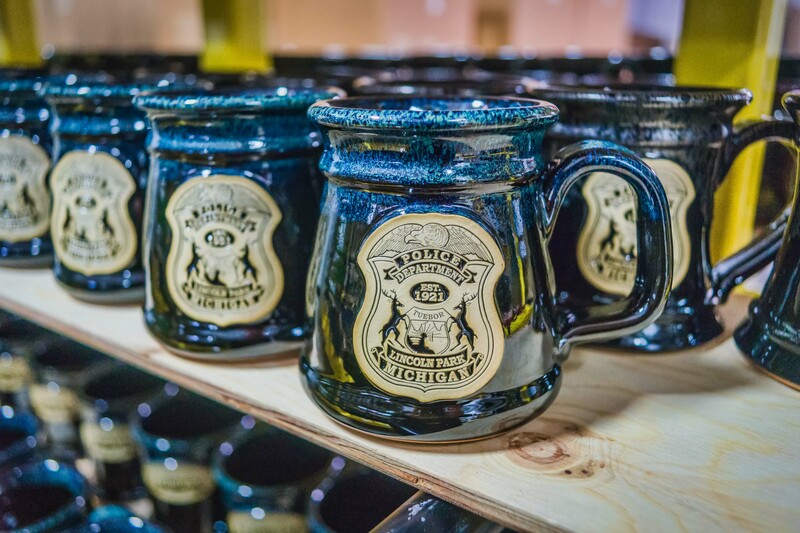 How Sunset Hill Stoneware helped a city police department raise money for its community policing program. Located just outside of Detroit, the suburb of Lincoln Park, Mich. is a town of about 38,000 people within a patch of about 4 square miles to the south of the city. According to Lt. Richard Kolakovich, there aren’t any major factories or industries in town, and most of the businesses are smaller or retail-oriented. There are several community events the LPPD either helps fund or participates in throughout the year, including a Cops Care picnic, Coffee with a Cop and hosting a tent at the community's Cinco de Mayo celebration. These events are designed to help build trust between the department and members of the community. Lt. Kolakovich states that his department used to only sell T-shirts and other similar types of merchandise in order to fund their community policing program and bring more events to build relationships with Lincoln Park residents. However, he was looking for other options to help generate funds for the program. To him, printed coffee mugs simply weren’t an option as a fundraising idea.